Today we are sharing with you an interesting article exposing a phenomenon all hunters and pro-hunters have suffered. It is about the attacks and insults that other people make on pro-hunters and how these attacks have become personal. It is as if the anti-Trump prevailing spirits of the Democrats have invaded the social media space. 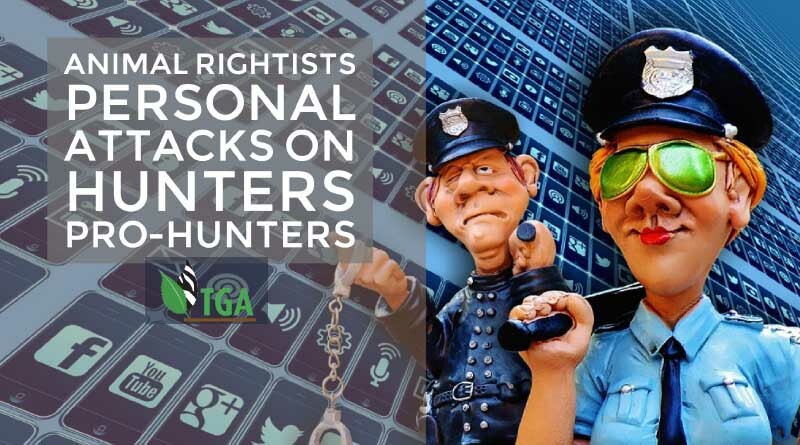 The TGA has suffered from targeted attacks by the animal rightists brigade. The attacks are vicious and it appears that the attacker has no social graces and is just downright cruel directing their abuse to persons. “The animal rightists have our measure. They are now adept at walking around the bush setting the grass alight – here, there and everywhere – knowing full well that we will expend all our energies putting out the veld fires; and that we will then have no strength left to fight the essential battles that still have to be waged. This is not the way to fight and win a war; and don’t think anything otherwise than that we are fighting the war of our lives against these nefarious people. The True Green Alliance (TGA) was created for the express purpose of fighting this war. It is our reason for being. We plan our every attack and each battle costs a lot of money. Even when we explain the principles and practices of wildlife management to members of the public, that is an act of war because we cannot tell the man-in-the street that the animal rightists are wrong without telling him, also, why the TGA message is right. We cannot fight this war alone. We need the support of hunters, game ranchers and nature-lovers everywhere; indeed, of everyone who identifies with the justness of our cause. So please join our tribe. Become a member of the TGA – an organisation that belongs to all South Africans. Help us to fight-the-good-fight on your behalf”. If you’re having a difficult time getting other people to object to an activity, you might try something more personal, like getting people to object to the actions of other people. This is what anti-hunting has evolved into—people objecting to the motivations and actions of hunters. Why should we care? The anti-hunter atmosphere is far more dangerous because it welcomes aboard many more people who would otherwise not have given hunting a second thought. These people are not originally opposed to someone else hunting even though they choose not to hunt themselves. 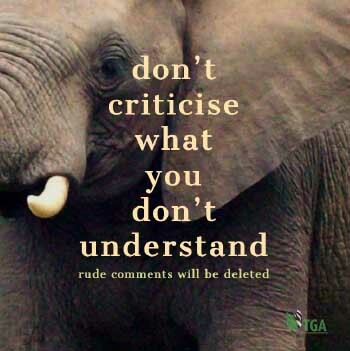 The anti-hunter approach is also tailor-made for social media trolls and keyboard terrorists. Personal attacks on social media, where one can hide behind a pen name with no accountability for what they say, is on the rise everywhere, and hunters are becoming prime targets. It would be “sticks and stones” if it were not for the Internet being the global avenue through which the majority of people get their information and form their opinions. There is no simple solution to this. All we can do as hunters is walk a straight path and hunt fair chase. I will never allow a person to interfere with any Hunter, I will defend my right and others right to hunt what God has given us to eat. With out the Hunter there would be an extinction of wild animals on the earth due to starvation and disease.